A motorcycle rider crashed on to the rear of a vehicle after not seeing it stopped, and the man, was on his phone, and was not even wearing a helmet. 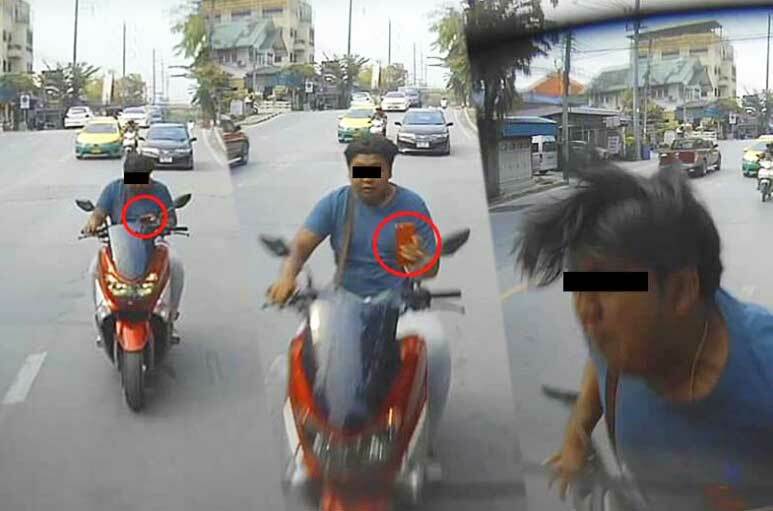 The footage was posted on Facebook by Praphop Chungyampin, who said that “society has their heads buried in their phones.” Praphop has insurance to cover the said incident, but now has to “waste time” to have his car fixed. He also added that if his vehicle had been a truck, the rider would have already “be facing up in a coffin”. The video has already been shared more than 27,000 times and was viewed on popular Thai social media sites. The motorcyclist was heavily criticized for being an “idiot” and “wasting other people’s time” with his flagrant lawbreaking. 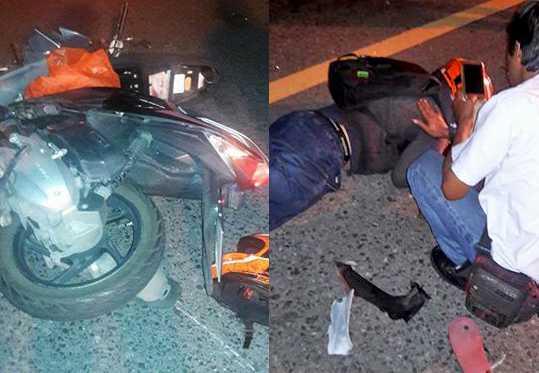 Thai law allows a fine of 400-1000 baht for phone usage while driving and another 500 baht for not wearing a helmet.